More than one-third of Americans are considered obese based on their Body Mass Index (BMI). (BMI measures the ratio between your height and weight. A BMI of 30 or above signals obesity.) As more and more of us age, we also are likely to see an increase in the number of older people who have a difficult time maintaining a healthy body weight. That’s a serious problem, since obesity can impact many parts of our health and daily life. For example, studies show people who are obese have more complications following heart surgery—an increasingly common surgery for older adults—than do people who are considered overweight (but not obese) or who maintain a “normal” weight. Although we know that obese older adults may be surviving heart surgery with more complications, few researchers have studied how well they can manage daily activities like eating, bathing, walking short distances, dressing, getting in or out of bed, and using the toilet. To learn more about this key issue, researchers from the University of Pennsylvania examined information from the University of Michigan Health and Retirement Study. They published their findings in the Journal of the American Geriatrics Society. The researchers focused on 1,731 participants from the study (which included 20,000 participants) who had heart surgery. Of these individuals, 34 percent were obese and 66 percent were not obese. The researchers followed the participants over a two-year period. 22 percent of obese participants who had heart surgery said they were less able to perform their daily activities within two years of their surgery. 17 percent of overweight or normal weight participants who had heart surgery reported that they were less able to perform their daily activities. In the two years following heart surgery, 10.5 percent of obese participants died; 13.8 percent of non-obese participants died. The researchers said that obese older adults who survive heart surgery may live with greater degrees of functional decline in the two years following the procedure, especially in participants who were younger than 80-years-old. However, in people aged 80 and older, the relationship between obesity and the ability to function well was considered more complex. 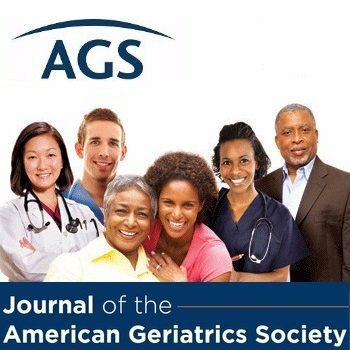 This summary is from “The Association between Obesity, Age, and Functional Decline in Survivors of Cardiac Surgery.” It appears online ahead of print the Journal of the American Geriatrics Society. The study authors are Timothy G. Gaulton, MD, MSc, and Mark D. Neuman, MD, MSc, from the University of Pennsylvania. This entry was posted in JAGS Research Summaries and tagged activities of daily living, cardiac surgery, obesity by HIA Guest Blog. Bookmark the permalink. Obesity can be a major trigger for many diseases. Problems related to heart or body strength may occur in seniors who are overweight or clinically obese. Every senior over the age of 50 should take care of his or her eating habits and try to exercise once a week.